Everyone knows that you could spend your entire vacation in the city of Rome and still not be able to visit everything that the city has to offer; Colosseum, Fori Imperiali, San Pietro, Piazza di Spagna, Piazza del Popolo, the Lungotevere, the Vatican Museums…the list goes on and on, and these are only the most famous monuments! 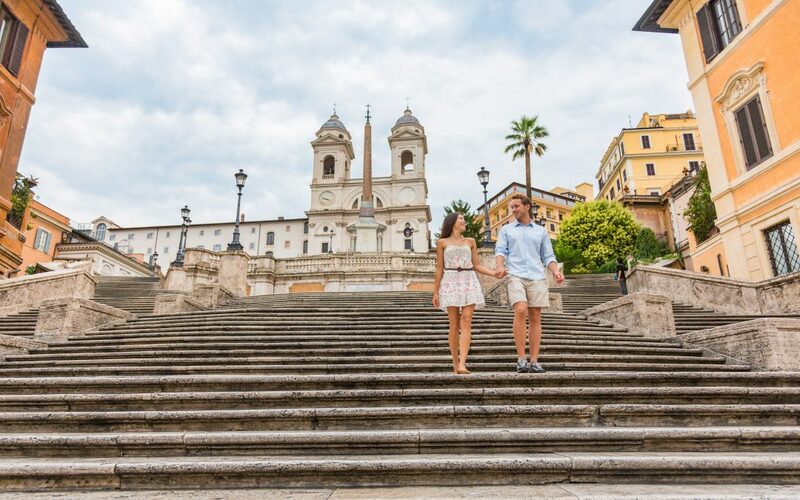 If it is the first time you’re visiting Rome then we suggest you to take all the time necessary to explore the Eternal City, if instead you are a fan of the “Belpaese” and often return to visit Italy, here is a list of the top four places to see just near Rome. First on the list because closest to the capital is Tivoli. We have already talked about one of the most fascinating attractions of the town, in the article on Villa d’Este. 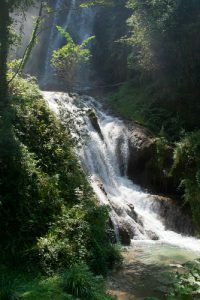 Tivoli, in addition to this magical example of Renaissance architecture, offers visitors other equally fascinating sites that are highly worthy of a visit: Villa Gregoriana, surrounded by a natural park with its own waterfall, and the renowned Hadrian’s Villa. It is difficult to describe these awe-inspiring 120 hectares of land, where there were baths, palaces, a small oasis that the Emperor Hadrian to build up as a “city within the city” to rediscover moments of peace. Before leaving Tivoli a visit to the Acropolis of Tivoli is a must, with its circular plan temple and the Temple of Vesta that soar over the surrounding landscape. About an hour’s drive from Rome, the Cathedral of Orvieto that overlooks the square with its gothic style and is definitely the first thing that will hit you! 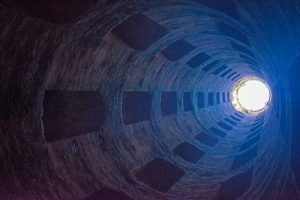 The city is a walled medieval town and its surprises do not stop at the surface: the Well of San Patrizio is in fact a descent of 248 steps arriving at a depth of 60 meters that constituted a water reserve for the city but also a shelter from sieges. Today it is entirely open to visitors and it is fascinating to see how the light changes and fades as you descend. Here in Orvieto, you can give yourself one of the most memorable experiences of your life: a private lunch in a cave, not something that will happen to you elsewhere. The town in the province of Viterbo known as “The city that dies“, where time seems to have stopped. Connected to the surrounding area only by a footbridge, the small cluster of buildings is nestled in the suggestive Valle dei Calanchi. The inhabitants of this magical place had to leave because of the erosion and landslides that have long prevented the creation of access routes. 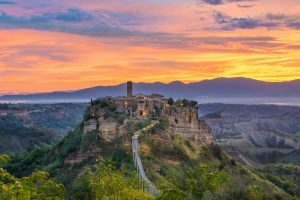 Today there are only 16 residents but Civita di Bagnoregio continues to attract tourists from all over the world because it seems to be an enchanted place, and also because in its restaurants you can taste the best of regional cuisine with Umbrian influences. Visit this magical place with our 10-day tour in Rome, Tuscany and Umbria. Ostia is known by everyone located on the Roman coast, a very popular place in the summer. But not only for its beaches, also because it is home to the remains of the first Roman colony of the VII century BC. Together with Pompeii, the Archaeological Park of Ostia Antica is the second largest archaeological site in the world, with its 150 hectares and a vast area yet to be discovered. The Roman Theater of Ostia Antica is the original stage for shows whose theme was Greek mythology, while today with its suggestive atmosphere, the theater welcomes cultural events and concerts with a capacity of about 4000 spectators.